#RefordCanyonFire | Washington | New! 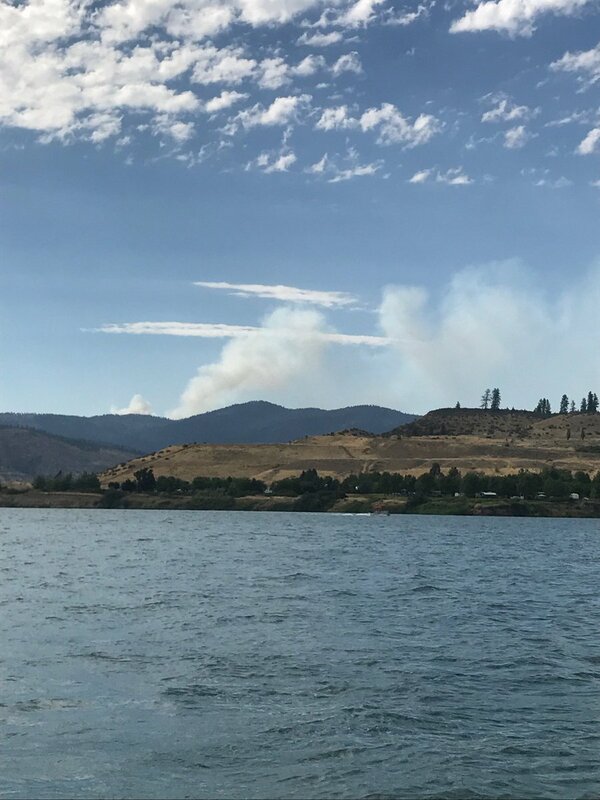 Fire resources included AA, 1010F, FB202 and H344 were dispatched @ 1019 hours on Saturday, July 15, 2017 to a wildfire burning on Whitestone Ridge on the Colville Indian Reservation located West of Fort Spokane, Washington. DNR aircraft is currently assisting the Colville Indian Reservation fire assets. The wildfire is around 40 acres and if there is any line around it. There is no word on cause or if any structures are currently being threatened by fire. The Colville Indian Reservation is located in the North Central part of Washington State, SE area of Okanogan County, has half of its land in Ferry County and has some land in parts of Chelan County. There is 2,825,000 acres of land that is managed by the Confederated Tribe of the Colville Reservation. Its interest is held in federal status. There is currently a population of Native American reservation and non-Native American residents that live within its borders.